Hello New York! Hair perfume is here and here to stay! Did you know that you can find your favorite scented hair spray all over the United States and in Puerto Rico? Because you can! What a dream. Okay not really, but she could be! 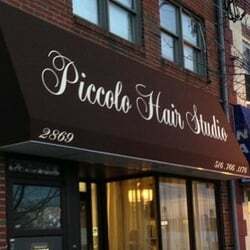 We are getting into more and more stores in the New York City area and one of our favorites is Piccolo Hair Studio (@piccolohairstudio)! And right now I am dying for some beach waves. Probably because I’m just anxious to get to the beach. Ya’ll it was over 80 degrees this weekend! A dream! A true hair perfume dream. I think I used up almost my entire bottle of Bamboo hair fragrance, no joke. Bamboo is the perfect hair scent if you are ready to head back outdoors and switch from Winter to Spring. It’s time to flaunt the flora and get back to your woodsy roots. So why not head to Piccolo Hair Studio (those of you in the Oceanside area) and get a new fresh ‘do to sport for the new season. I know I’m going! What are you looking forward to the most this Spring? Is is all the new floral blooms? Beach days? Easter? Tell me your favorites!